Calderfields presents their first party night of the year! 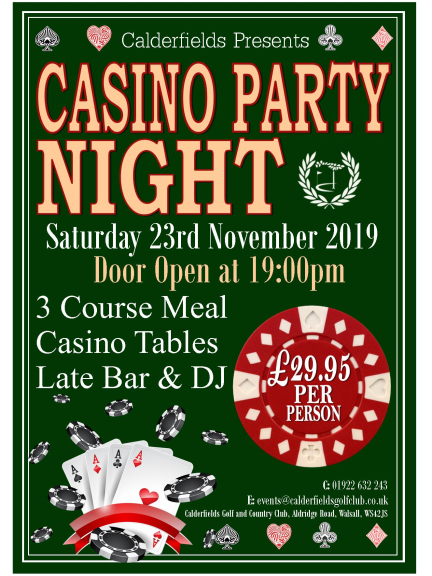 This year the party night will include our Casino tables!! Tickets on sale now only £29.95pp including a set 3 course meal, Casino and late DJ & Bar!